Print or photocopy sufficient paper compass templates for one per child. For younger children you may want to cut out the templates before the session. Before the session make a sample paper compass so that the children know what they are making. The step marked with an ‘*’ should be carried out by an adult. 1. 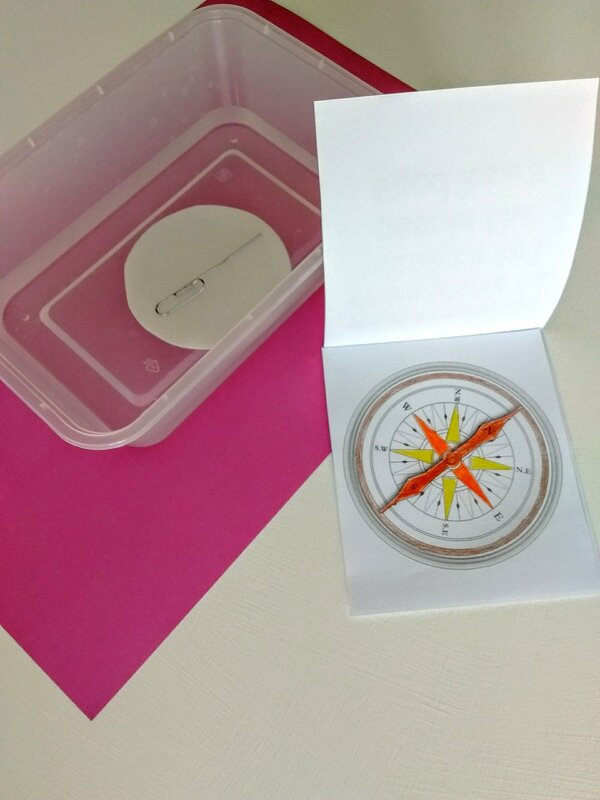 To prepare your paper compass, cut out and colour in your templates. Fold the paper case in half. If you have pieces of A5 card stick the paper case to the card before folding it in half. Stick your ‘compass’ inside the case. 2. 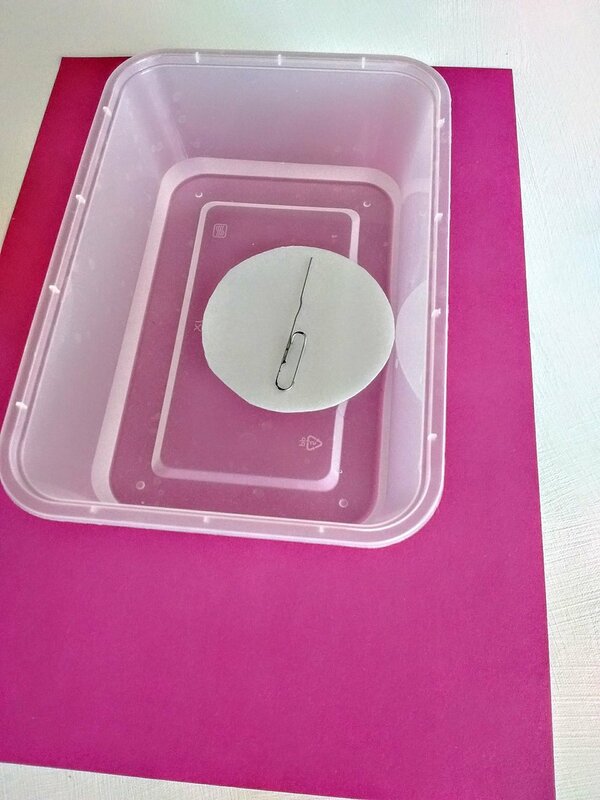 To construct a compass, Unfold the paperclip so that you have a straight piece of metal. Fill a plastic bowl with water. 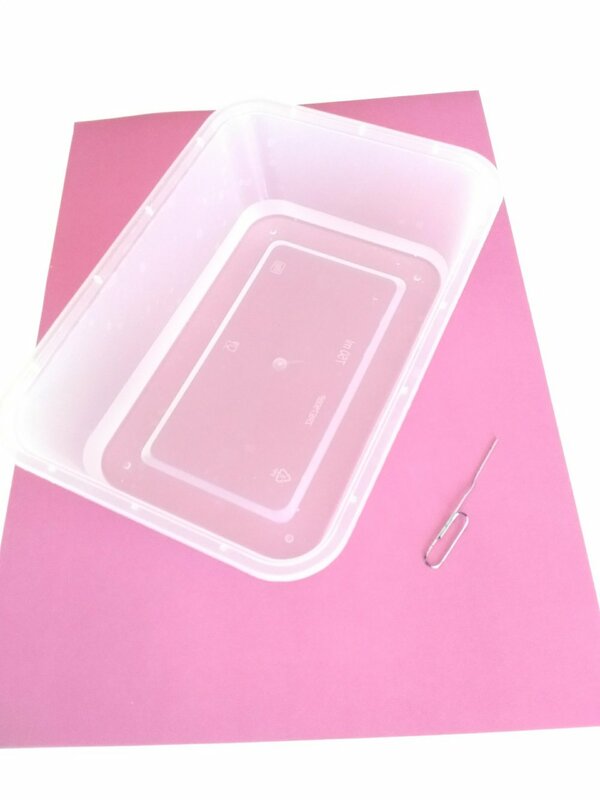 If you have a small bowl only partially unfold the paperclip. 3. *Cut the bottom out of a polystyrene cup or, if using a cork, cut a slice off the end. 4. Hold the unfolded paperclip flat on a table. Rub the end of the magnet along the length of the paperclip repeatedly in one direction. This will magnetise the paperclip. To make sure your paperclip is magnetised place a second paperclip close to the tip of the first paperclip. If it is not attracted, repeat the steps to magnetise the first paperclip. 5. Float the polystyrene disc or cork on the water in the small bowl. Carefully place the paperclip on the disc. Allow the disc to settle. The direction the paperclip is pointing is magnetic north. 6. Use the constructed compass to position your paper compass so it is pointing to magnetic north. Now work out the direction of south, east and west. Describe how travellers use a compass to work out the direction in which they need to travel. Talk about Paul travelling from place to place to tell people the good news about Jesus.